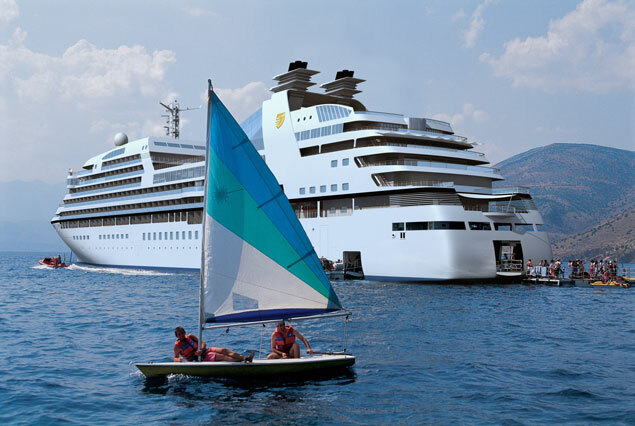 Seabourn Quest joined the Seabourn fleet in June of 2011. Every day on Seabourn Quest is truly unique. As the ship sails to your exotic, culturally rich destinations, you can enjoy the gorgeous view from the whirlpool on the bow as you sip chilled champagne. The Sky Bar has golf putting competitions, while you can learn to tango or play bridge (in an ACBL-sanctioned competition). 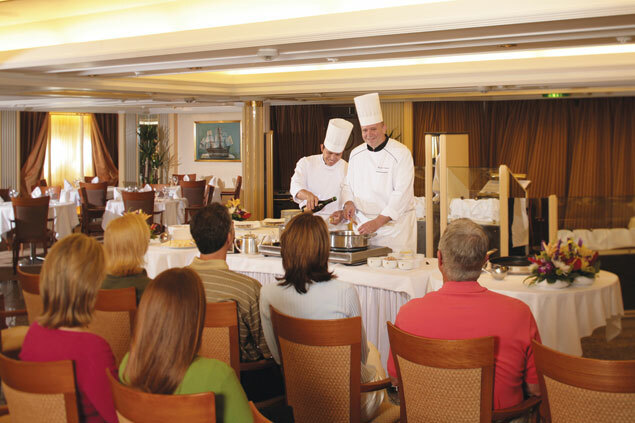 Meet celebrities, guest chefs, and acclaimed experts in the exclusive Dress Circle® program. The ship has a specially built marina, so at special ports of call you can enjoy water activities like snorkeling, windsurfing, swimming, kayaking and waterskiing right from the ship! At other ports, you'll enjoy fresh grilled seafood and caviar on a secluded, sandy spot as the crew hosts a lavish beach party. The Signature Service Desk will help you plan the perfect day excursion at any stop! The Spa at Seabourn offers you a relaxing and indulgent way to spend the day. This sanctuary of health and fitness will fascinate your body and your mind! Spanning two decks, and featuring panoramic sliding glass walls that lead to the outdoor relaxation area, the Spa at Seabourn offers a variety of treatments in seven private treatment rooms; guests can also enjoy the renewing feeling of reflexology and aromatherapy. For a traditional therapy, the ship boasts Finnish saunas and aromatic steam rooms, as well as a thalassotherapy pool. If you'd like something different, you can also indulge in a seaweed wrap, a full facial, or a relaxing warm stone treatment. The certified massage therapists can even customize a personal spa package just for you! Guests can also work out at the state-of-the-art fitness center, which has cardio, strength and weight training equipment; personal trainers are available at your request. There is even a Kinesis Wall, which is a unique pulley and cable system that will give you an innovative exercise method. Participate in Yoga, pilates, tai chi, and many other complimentary fitness services. You'll find a new way to pass each day on this magnificent ship! 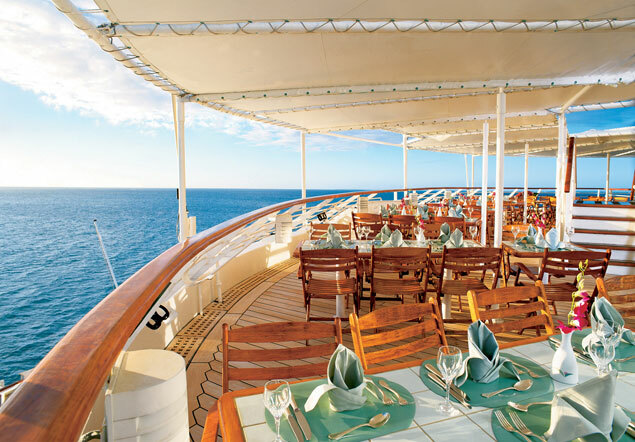 Seabourn Quest has four restaurants and varied menus, with a different flavor each day. The Restaurant is an open-seating, come when you like, with whom you please, and be seated as you wish. The room is beautiful, the cuisine is exquisite, and the service is simultaneously flawless, friendly and fun. Don't forget - there's a 24-hour room service, with an extensive menu that will be delivered right to your suite. You can also have dinner served to you, course by course, in the privacy of your suite! As the night begins, you'll find that as you sip champagne and wander from one entertainment venue to the next, that you're in for a wonderful evening. Head to the Sky Bar for a toast, where you can dance to the six-piece combo band in the lounge. The Observation Lounge, with a subtle background of live classical guitar, is the perfect place to enjoy a cocktail and regale your friends and fellow passengers with tales of your adventures that day. The casino is the perfect place to play a hand of Blackjack, if you're feeling lucky. 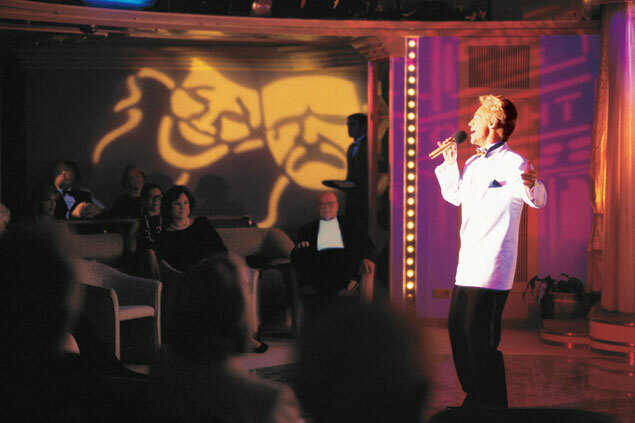 There's no end to the live entertainment - laugh along at the jokes of a comedian, or enjoy a Broadway revue. The Club is the perfect place to dance the night away to the energetic music of the live band. If it's a clear night, you'll have the romantic option of watching a first-run movie (with fresh popcorn!) during the Movie Under the Stars program. On special nights, the captain will turn off all of the ship's lights to create an atmosphere of intimacy and romance, so you can enjoy a romantic stroll along the upper deck, and marvel at the infinite stars above while you sip on your favorite drink.